No doubt that music has the power to bring you back in time. Well, just like a song can transport you to a place in your life, football season takes me to the future. I grew up in Ecuador where soccer is the popular sport. Eleven years ago, I was introduced to American football. I understand the basics of it and have learn to appreciate it’s roughness. However, for me, there is a special connection that makes me look forward to the start of its season. For my boyfriend as well as for my previous boss and most of my male coworkers, the year has 2 seasons. Regular season and football season. 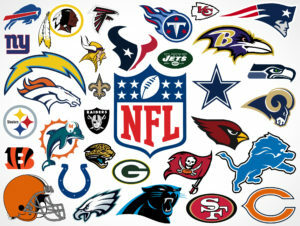 Football season is exiting, friends stop by, sports bars come alive and you can feel the enthusiasm in the air. And since nothing is totally perfect, it also brings beer bellies, junk food binges, frustrations and loud parties. For me football season marks the beginning of the magic. Somehow, the moment the first season game is shown on TV, I immediately anticipate not just my birthday but Halloween, Thanksgiving, Christmas, New Years. To my mind come the smell of pumpkin and apple pie, the warmth sensation of hot chocolate or apple cider going down in your body and the magic of cozy fireplaces, family gatherings, love, friendship and believing in something bigger than ourselves. Here in the US, football is the guest in every event during this magic time, sometimes as the guest of honor and others remaining almost silent in the background. Its constant presence during these events almost without realizing has made me love it. Are you ready for some football?